Have you ever recovered a chair cushion? 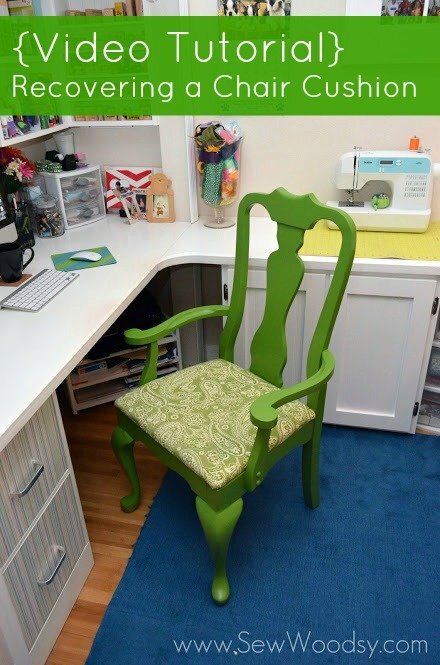 It is super simple and can really transform an old chair into something new again. Best of all, it takes less than 30 minutes to complete. We recently created a video tutorial for the Homes.com blog to share with their readers (and ours) the step-by-step process. Here is a list of supplies you will need. 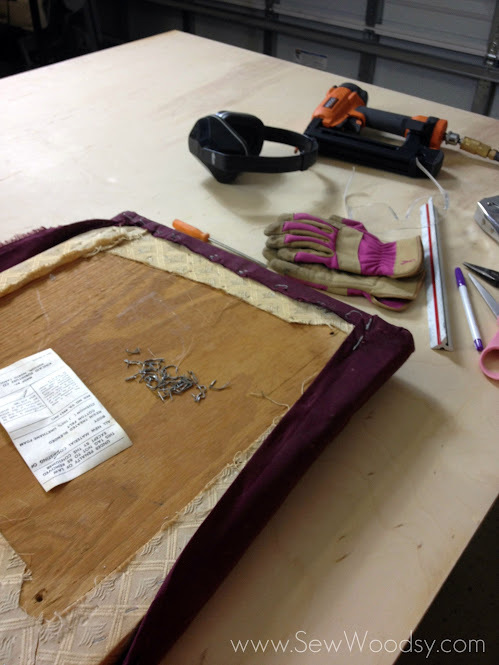 Watch my video tutorial to see just how easy it really is to recover a chair cushion! So, what do you think? You think you can recover a chair cushion, now. Easy. Right? And here is how the finished chair looks. I absolutely love it! 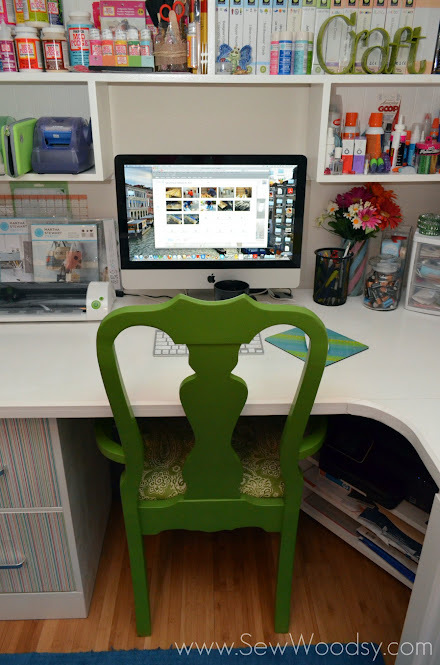 I also love the shape of the chair… its super curvy! My new chair fits perfect under my desk, too! And for good measure… I had to include at least once behind the scenes photo of the taping. I think Mr. Woodsy was setting a screw in place for me because I was having a hard time getting it secure. Disclosure: We have a working relationship with Homes.com and are video brand ambassadors for 2013 (thus we are compensated). As always all opinions are our own. Thanks–and thank you for inspiring me to redo a chair! Another great vid! You two are becoming quite the professionals. Now, I just need to keep my eyes peeled for a rejected chair on the side of the road to rescue and upcycle using this awesome tute. Thanks, guys! Thanks Lauren! Yes, even if you have to pay under $10 its still very much worth the effort! 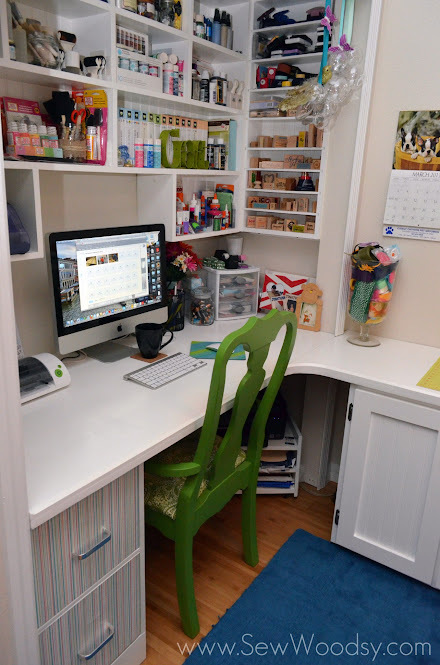 I love that your showing how easy it is to completely makeover a chair! 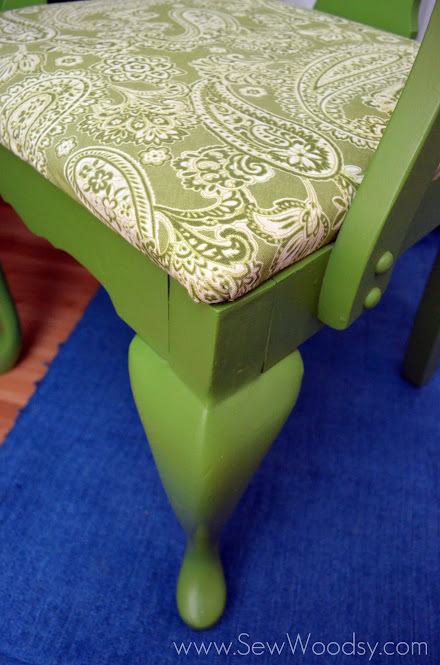 it looks great and reupholstering a seat is a great fix for an old or outdated chair! Love the color too!! Thanks Laura for the nice comments and for stopping by! Just a question. Why did you chose to cut the piece diagonally and waste corner material whereas you could have done same by parallel placing. Hi VJ. It’s just the way that I do it–you can keep the fabric on if you’d like I just like minimal fabric on the stapled side. 🙂 Thanks for stopping by!